Keynote is Apple’s answer to Microsoft Powerpoint. Apple Keynote is a built-in part of iWorks publishing suit, and Keynote templates help us create gorgeous looking presentations without much of an effort or spending lots of time. Keynote templates are often called Keynote themes. They are basically the same thing. In the past few years, Keynote has emerged as a very popular wireframing and prototyping tool, thanks to its slide masters, grouping, animations and styles. So today we decided to make a collection of its free resources. By the way, if you are using Mac and you have iWorks installed, you might be interested in our collection of Rapidweaver Themes that we published a couple of months ago. This collection includes full templates and mockups which you can edit easily. No other software is required for editing these mockups. Load/Open the mockup in Apple Keynote. For each interface screen, add a new slide. Copy elements from the mockup file to your newly created presentation’s slides. Now you can customize the mockup’s components according to your requirements. Add links, images and anything else that is required. Apple used some original keynote theme in WWDC, and a lot of us like it. If you can’t find “themes” folder, just create it. A folded paper theme. This theme includes 6 master for you. Keynotopia is a free set of interface elements for Keynote that makes it possible for anyone to create these prototypes in minutes. This theme is made to make your presentation look effortlessly elegant. This keynote theme is not in English but you can easily edit it and make suit your language. This is a purple theme. This one contains 8 master. For a presentation dedicated to love. It’s a pretty basic template with the background look as though its in transition from white to black through blue. This is a futuristic and apocalyptic theme design. The picture used here is from Deviant Art user Martz90. For presentation related to sci-fi, communication, telecommunication, advanced IT or the movie matrix, use this template. Has it ever happened to you that you are going on with your presentation and suddenly you find that some people are yawning or maybe, snoozing. Well, this template won’t let that happen. This background alone keeps the user occupied. This Keynote theme has 20 different master slide layouts. I loved the color and font combination so I’m adding this one in the showcase. Even though this template was primarily used for conferences and meetings, I feel it can be used almost anywhere. Ripe berries is one of the a free Keynote templates suitable for presentations on fruits and vegetables, calories, winemaking, etc. etc. etc. Blue lightning is a corporate style keynote template, so you should use it on corporate and business type presentations. This is another one of corporate styled Keynote templates but this one can also be used for counseling, scheduling and education related presentations. This is a graphic based scheduling template for Keynote. This also works as a mind-mapping guide. 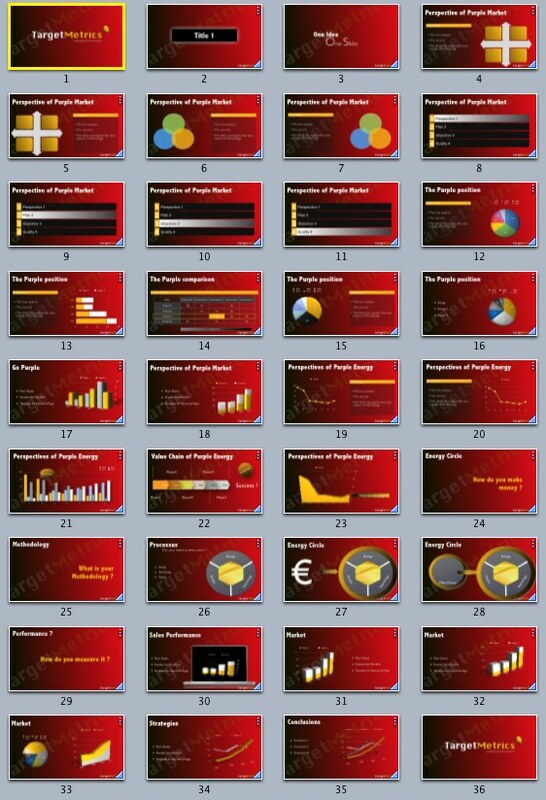 If you are creating a presentation that needs lots of graphs and charts, this is the ideal template for you. You can use these charts and graphs with other templates as well. All you have to do is copy them from this template and paste in the other. This is a variation of the target metrics Keynote template featured above. These are more than 50 Keynote themes (backgrounds) that are ideal for creating education related presentations. All components are hand-drawn vector shapes created from scratch in Keynote and PowerPoint, and can be edited and customized directly by using the method described in the beginning of this article. iPresentee provides more than just high quality templates. They provide clipart and mockups… all for free of course. Good night friends. See you tomorrow.